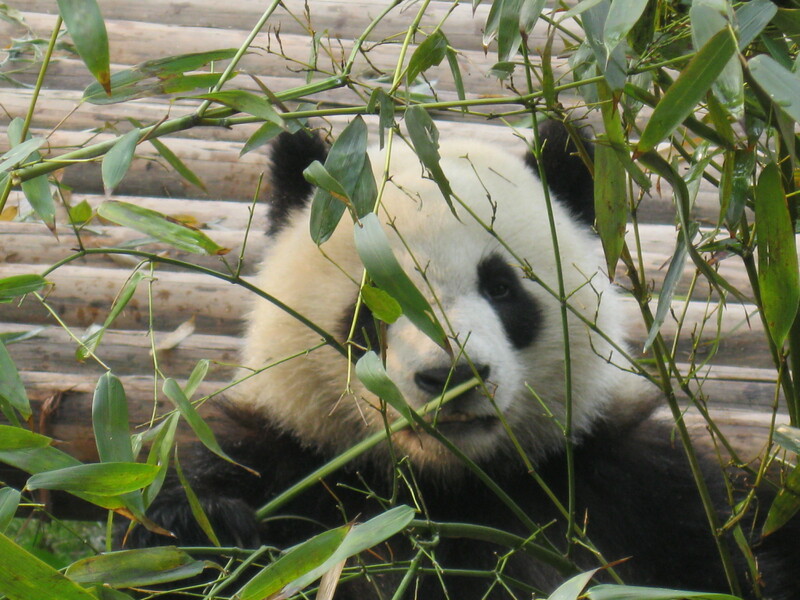 The Chengdu Panda Center | Where is Yvette? 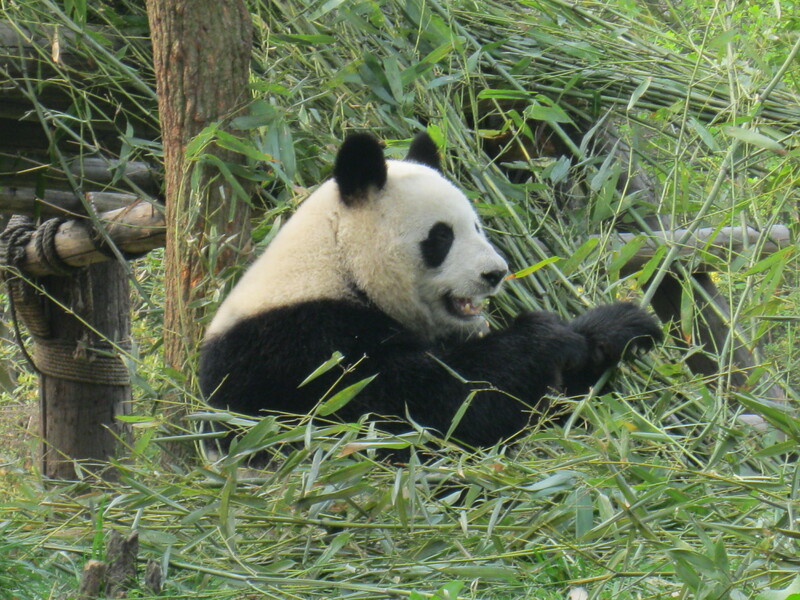 So good thing they have folks like the people at the Chengdu Panda Breeding Research Center and adoring tourists who come over and act like the paparazzi around them, isn’t it? We visited the panda center in the morning for the simple reason that feeding time is then, and if you come later you’re likely to just run into pandas sleeping as they apparently spend about an hour eating and sleep the rest of the day. 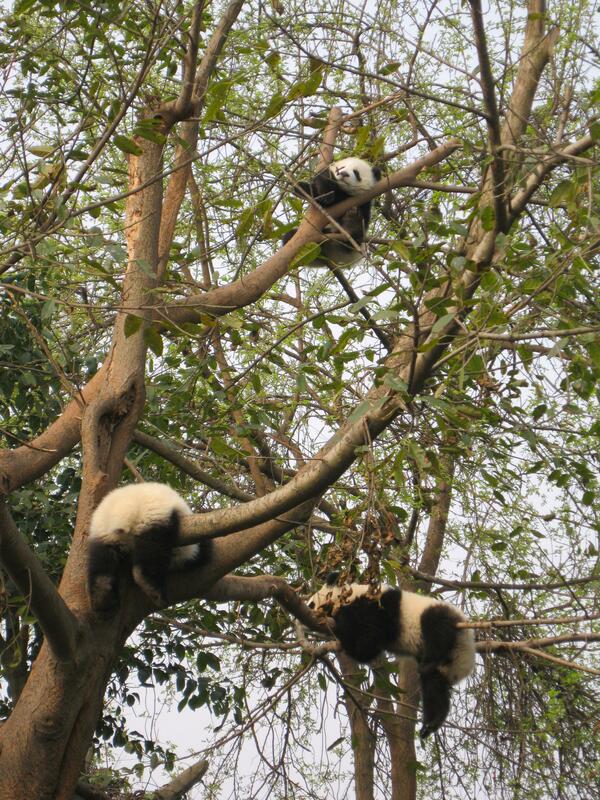 In case the 23 hours a day of sleeping didn’t tip you off, it turns out pandas are super lazy! Even while feeding they’d recline if not lie down altogether- this is apparently because in the wild pandas need to conserve energy in cold weather, lest they get hypothermia, but when you’re in the research center it’s more an amusing detail. 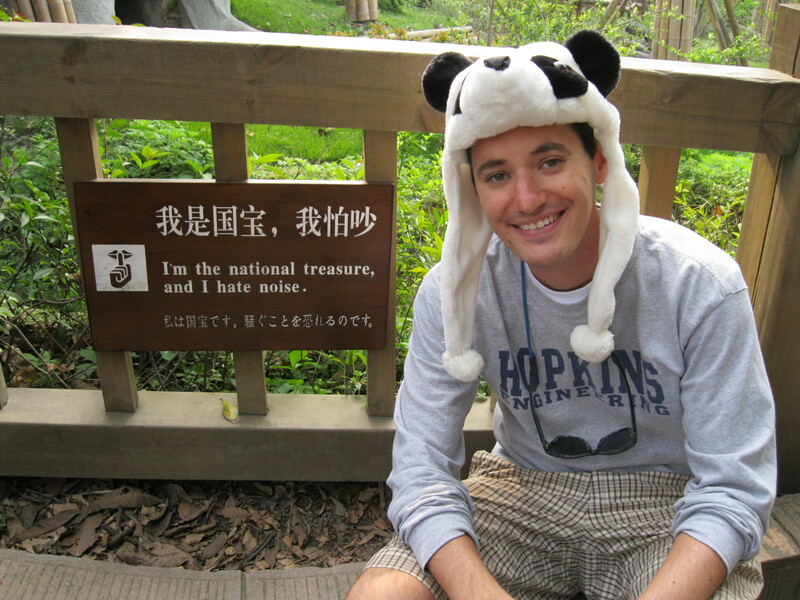 Well c’mon, if you’re a guy with a panda hat traveling around China isn’t this the day to wear the hat? The pandas were cuter than Patrick (sorry dude!) but luckily there were some good Engrish signs for him to pose with. 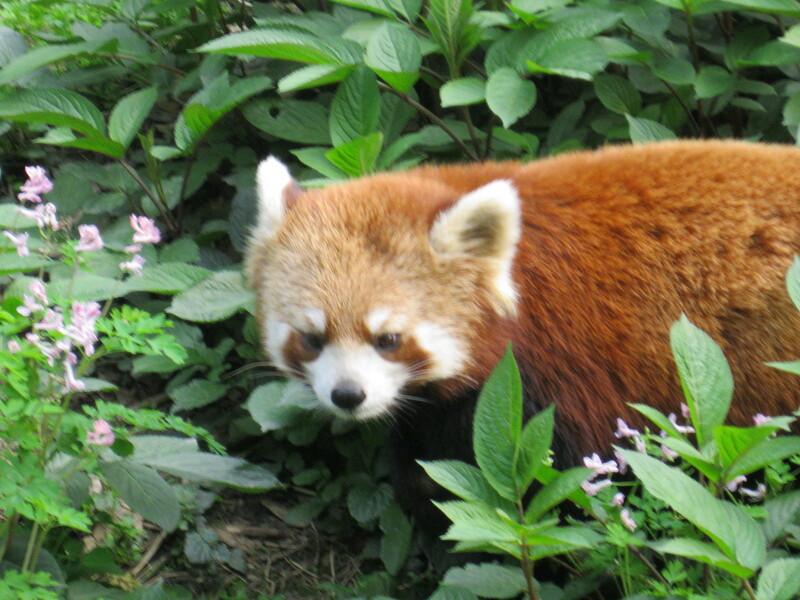 Anyway, moving along, there were also a few red pandas to admire- Red pandas are the closest relatives of the giant pandas (aka pandas we’re used to), and they’re cool for the simple reason that they’re the size of a large domestic kitty (pandas are known as “cat-bears” in Chinese) and the fact that despite the cat thing it’s obvious why people say pandas are more closely related to raccoons than proper bears. C’mon, what else does this creature look like? 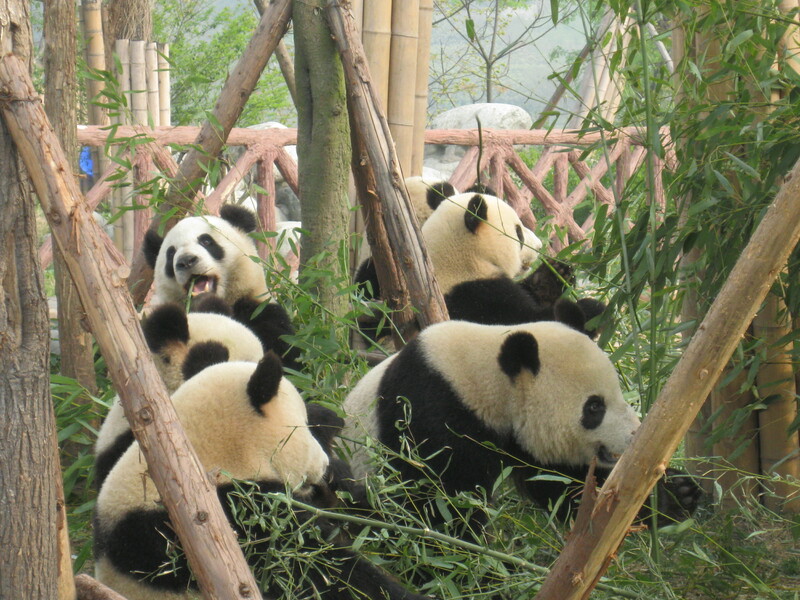 A word on panda breeding while I’m at it: it turns out it is really, really, really hard to successfully breed pandas in captivity. The reason is pandas apparently forget how the mechanics work when not in the wild, and to make an entertaining but not family friendly story short often you have no choice but to do artificial insemination. If this wasn’t enough a female panda can often act pregnant even when she’s not and there’s no way to tell until a baby panda is born (or not), and when a panda is born after a few months it looks like a rat and is so tiny its mother can accidentally squash it very easily. Thank goodness they’re so darn cute! Yay pandas! Soo jealous! 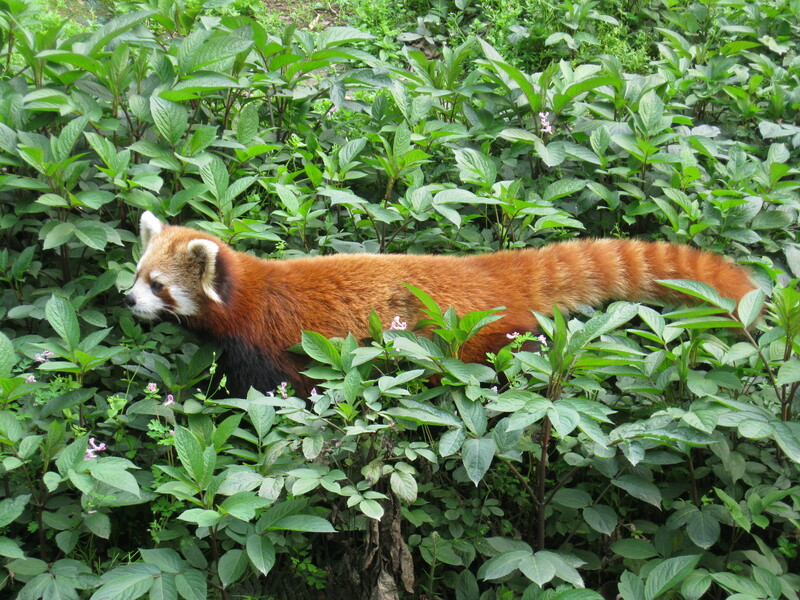 I have to put my zoology nerd hat on and say that the giant and red pandas aren’t closely related. 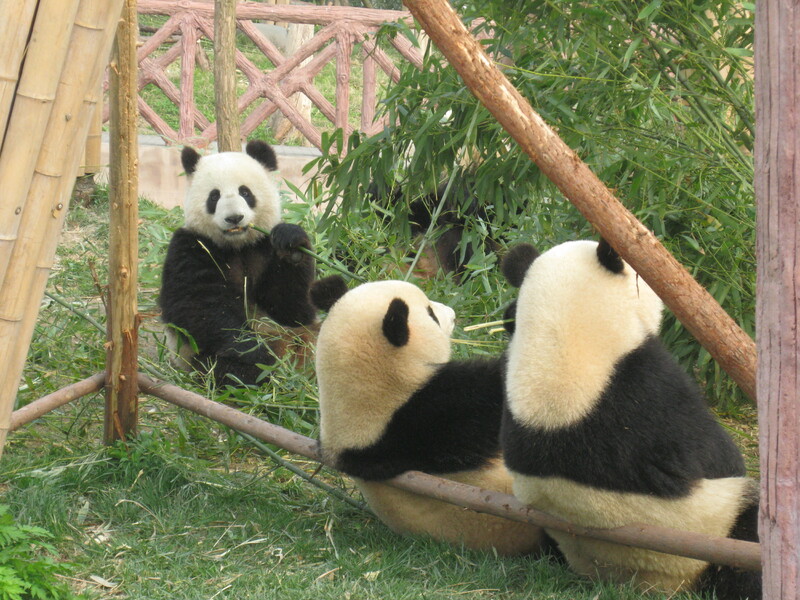 Panda just means ‘bamboo eater’- giant pandas are bears (which is why their carnivorous digestive system can’t deal with bamboo very well), and then the red pandas are in their own family, which is only distantly related to the weasel, skunk and raccoon family.